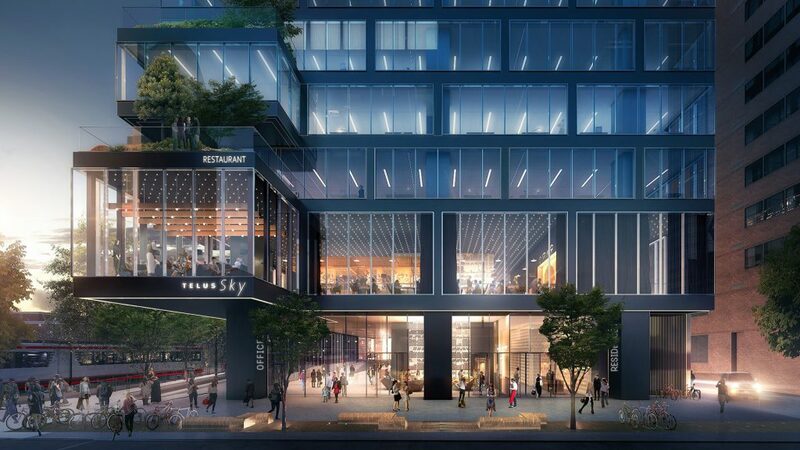 TELUS Sky - Body of Work - Westbank Corp.
TELUS Sky, a 58-storey development in the 100 block of 7 Ave. 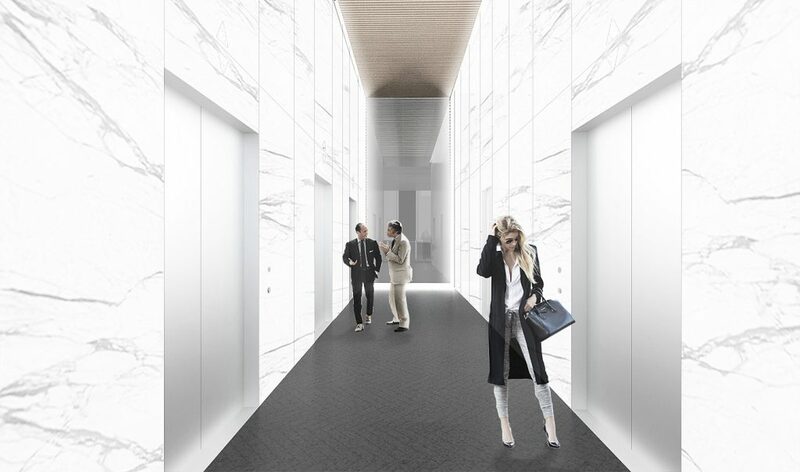 S.W., will incorporate office space, retail stores and 341 residential rental suites. 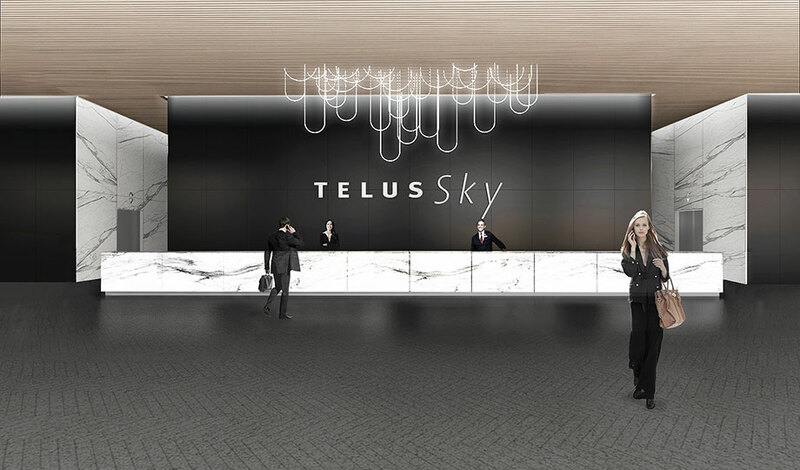 Our goal for TELUS Sky was to design an office building that would contribute to the Calgary core in a meaningful way. Calgary’s downtown is largely characterized by bland, corporate high rises. Against this background we set out to create something a little more feminine. A little finer grained. 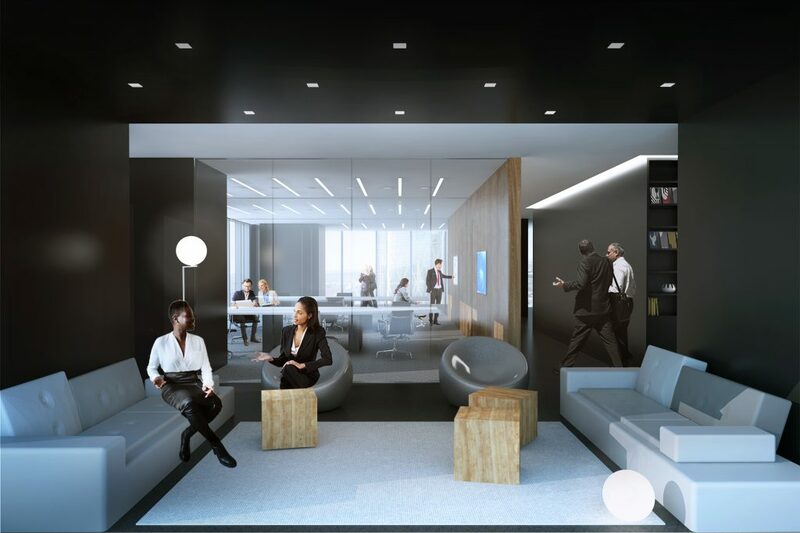 The base and bottom floors of the building are clean and rectangular resulting in efficient open office layouts. As the building rises the floor plates slowly reduce in size and pixilate providing opportunities for offices with small balconies and terraces and ultimately results in smaller residential floor plates with balconies. An LED Public Art lighting installation will illuminate the tower at night. 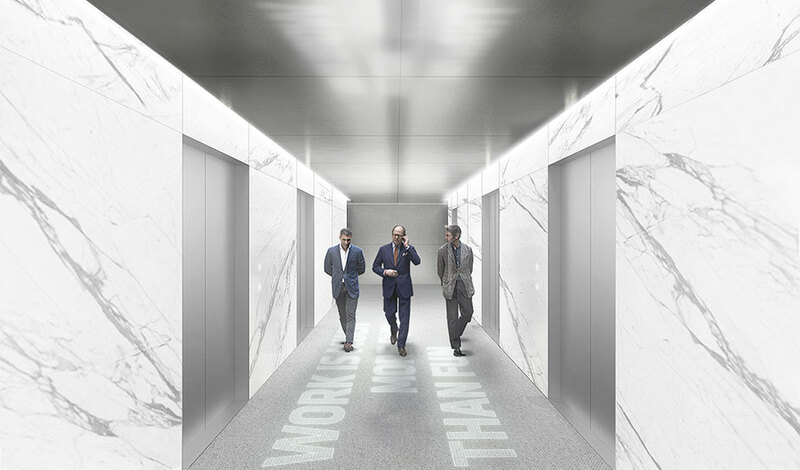 The north and south façades of the tower, will showcase a compelling public art installation, programmed by Coupland with full-colour motion sequences. Made up of 600 custom bulbs, the integrated LED lighting wraps around the building's window frames to create pixels, that together form an infinite number of patterns and colour displays. 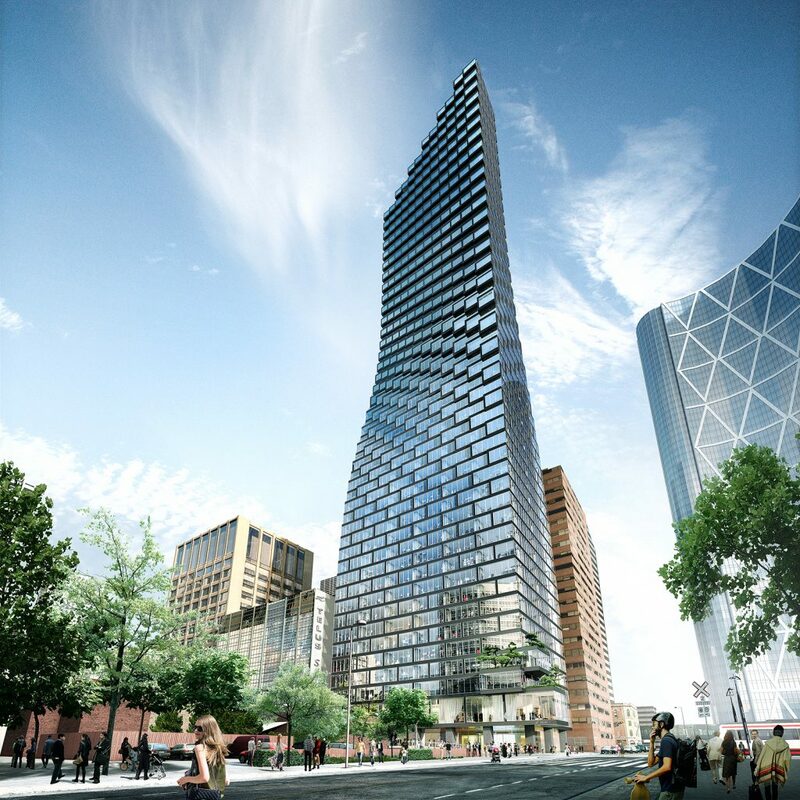 TELUS Sky's design is simultaneously symmetrical and curvilinear. Its twisting and mineralogical façade provided the perfect canvas to channel such a dynamic symbol of nature as the Northern Lights. Coupland is creating a free downloadable app that will share details of how Northern Lights works. Over time, the app will reveal new interactions and versions to enable smartphone and tablet users to hold devices up to TELUS Sky's facade to see and read colour-specific messages that are otherwise concealed. These messages could be simple data like the date, time and weather, but could also become larger and quite elaborate as the technology allows for ingenuity. 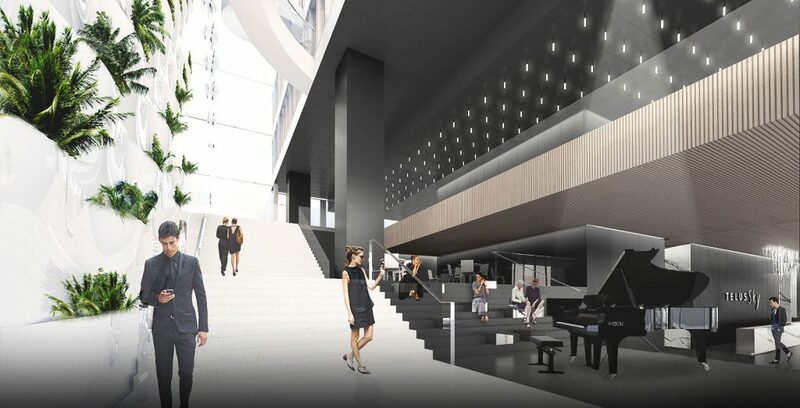 In a world defined by technological transformation, driven by innovation and guided by creativity, the built environment in Calgary needs to evolve to recognize the transformation to an information-based economy. 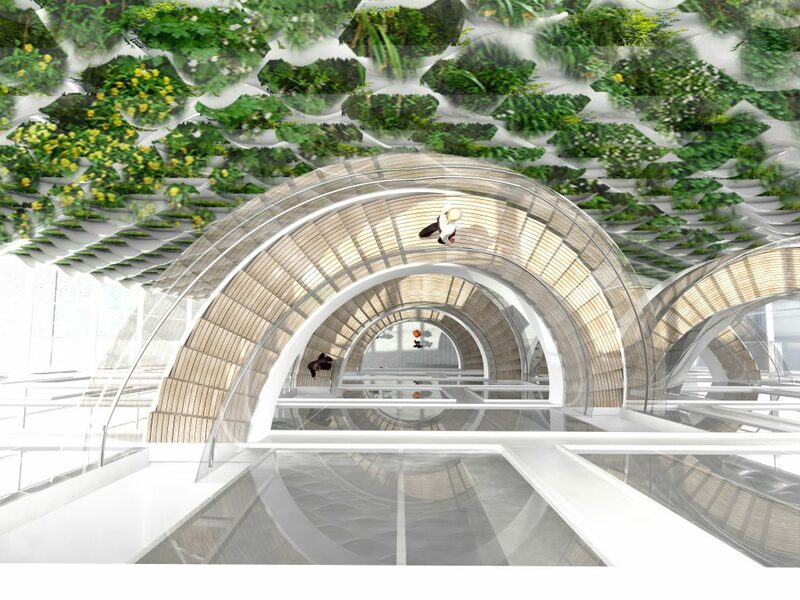 In order to thrive in the future, cities must adapt to accommodate the creative industry firms that will form the foundation of our future economic growth. Calgary is young, diverse and dynamic. It is an emerging tech hub, with thousands of creatives and innovators living and working around the city. This project is the chance to work at the heart of the action, in a work environment designed to meet your needs. 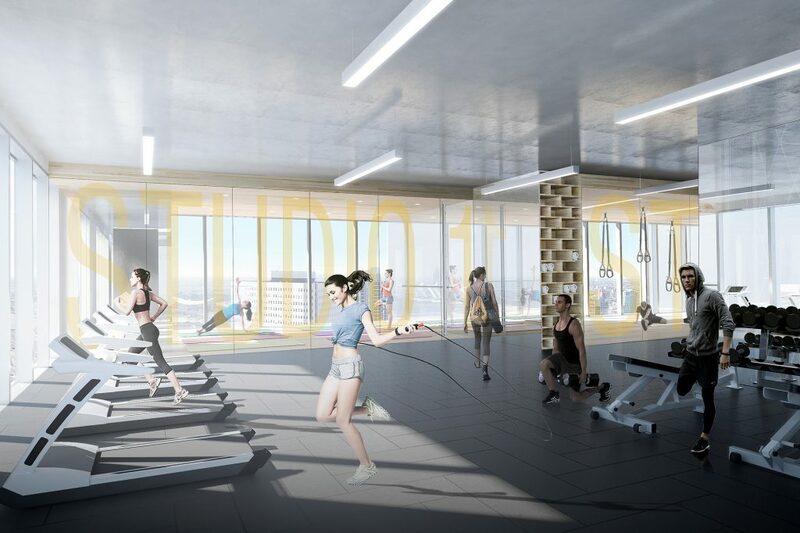 The future of work is integrated, transit-oriented, central, sustainable, open, and flexible; the future of this workspace in Calgary is downtown.